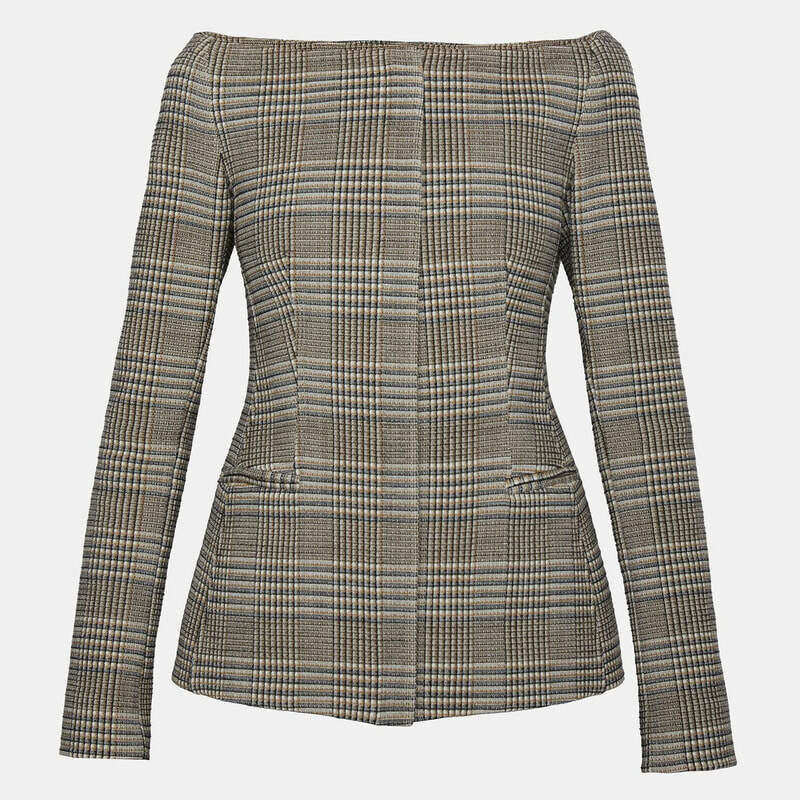 ​Crafted in rich, Italian stretch wool and patterned in a textured, yarn-dyed plaid, this slim and stylish jacket is cut with a trendy, off-the-shoulder silhouette, subtly nipped waist and flared hem. It is designed with a covered zip front and besom pockets. STYLE FILE: Theory Wool Off-The-Shoulder Jacket as seen on Meghan Markle.